Orange has launched the sixth edition of its Orange Young Designers competition. It aims to use this international competition of ideas to promote creativity and create a new expressive space for recent design graduates and, for the first time, creatives, makers and digital enthusiasts with no degree requirements. 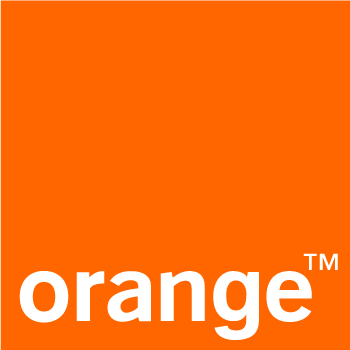 The new competition theme is « Let’s reinvent money with Orange ». In a few short years we have gone from the cash generation to the plastic generation to today’s cashless generation. What new services can we design to even more closely meet everyone’s unique needs? How can we help the general public easily and securely adopt these services? Can this new experience foster a more just economy? Tell us how, in your wildest dreams, Orange could transform our relationship with money. Throughout the competition, Orange works with the selected candidates to bring them the support of teams of experts and designers from the Orange Technocentre’s “xdlab” to help them improve their proposals. That is this unique competition’s originality and its strength. It encourages co-creation and open innovation, in support of young talents. To that end, a series of workshop were held at each of the 3 international design schools partnering with this 6th edition of the competition. Two 2-day workshops were held for individual entrants at the Technocentre, located near Paris, the 16th and 17th of October 2017 and the 6th and 7th of November 2017. The 26th of January 2018, the jury, chaired by talented designer Constance Guisset, whose work has been hailed by critics and received numerous awards, will select the winners. The 3 best projects will receive prizes worth 10,000 euros, 7,000 euros and 4,000 euros at an awards ceremony during, the 15th of February, followed by an exhibition. The registration is closed now. This competition was open to a very broad public. to be a resident of mainland France (excluding overseas territories and departments), the European Union, or Switzerland. The workshops were run from September through November 2017. Awards ceremony and exhibition of the projects 15 February 2018. WHAT DO I NEEDED TO SUBMIT? How do you understand the subject?